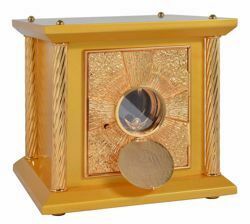 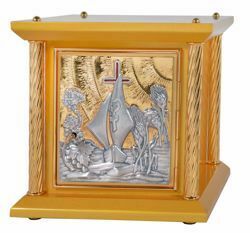 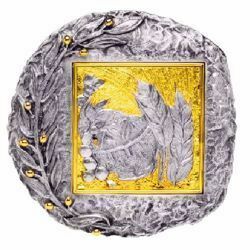 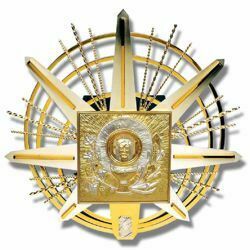 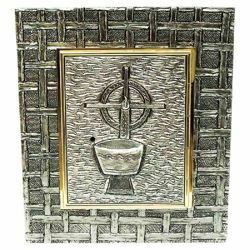 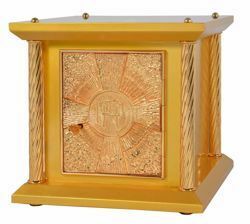 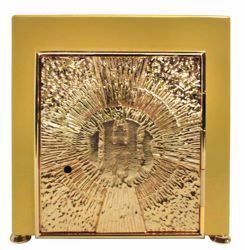 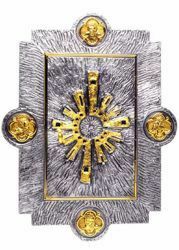 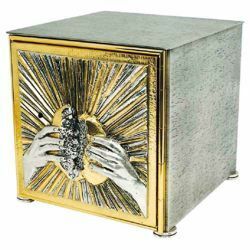 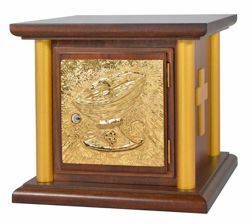 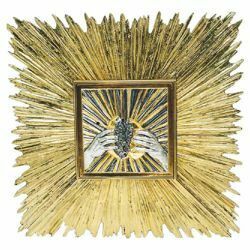 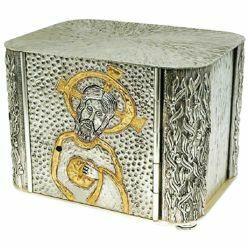 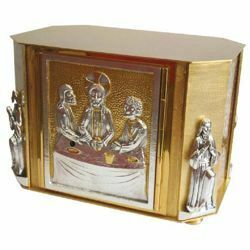 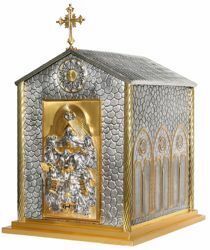 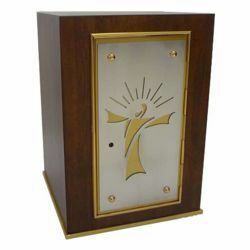 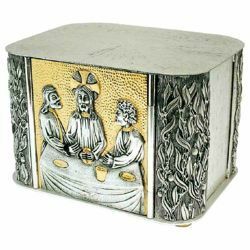 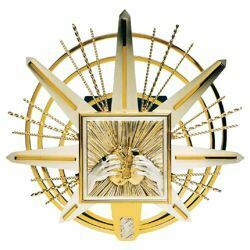 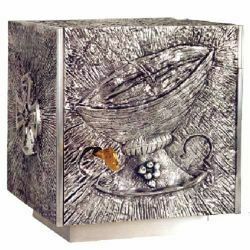 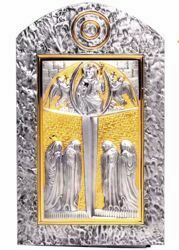 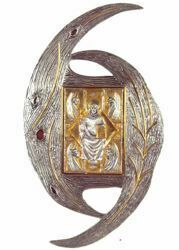 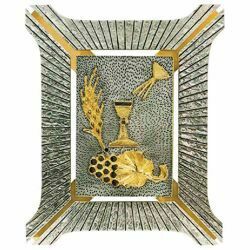 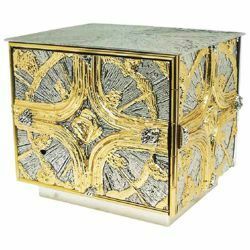 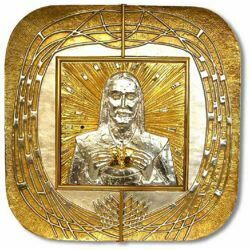 Wide selection of Eucharistic Tabernacles for Churches, Altar and Wall mounted tabernacles, traditional furnishings of the Catholic liturgy available in small and large sizes. 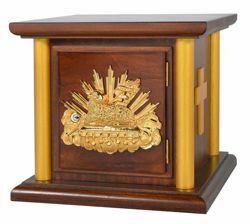 Tabernacles made from bronze, brass, wood, silver and gold, manufactured by italian handcraftsmen specialized in metalworking for sacred furnishings, and decorated with liturgical symbols such as Jesus, Face of Christ, JHS, Fish, Angels, Chalices, Grapes and Ears of Corn. 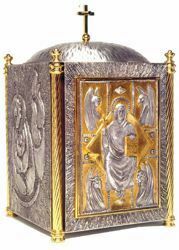 Tabernacles for Churches in vintage, traditional, gothic and modern style, for altar and wall. 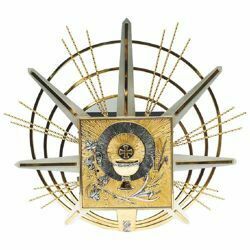 Excellent quality/price ratio and free shipping worldwide. 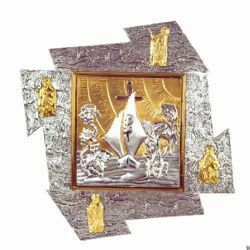 Quality 100% Made in Italy. 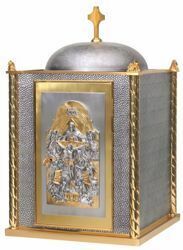 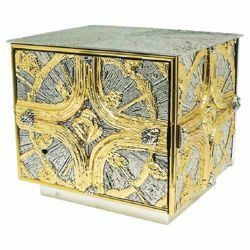 Wall Tabernacle produced by a historic Italian workshop specializing in sacred furnishings.